Selling or Buying a Maserati Indy? Produced from 1969 to 1975, the Maserati Indy was a four-seater fastback GT offered as an alternative to the contemporary Ghibli. The Maserati Indy was named in honor of Maserati’s two victories at the Indy 500 race. Designed by Vignale, the Maserati Indy used a uni-body construction, which meant the body was welded to the chassis instead of bolted on. The outside was very different from the Ghibli, although both cars featured pop-up headlamps in vogue at the time. The interior design was very modern with its centralized dash and offered decent room for the two passengers in the back. Fitted with a four-overhead camshaft, all-aluminum V8, the first models had a capacity of 4.2 liters, upgraded to a 4.7-liter unit from 1970, and a 4.9-liter version from 1972. Over 1,000 of the Maserati Indy were built between 1969 and 1975, approximately 450 equipped with the 4.2-liter engine, 370 with the 4.7-liter and 300 with the 4.9-liter. If you are thinking about buying a Maserati Indy, you probably already know a lot about the model. Should you have any questions about the technicalities and specifications of a particular model, The Beverly Hills Car Club team would be happy to assist you. Classic Maseratis are very special vehicles and it is highly recommended to hire the help of a brand expert in classic models when looking at one. The value of the Maserati Indy you are interested in will depend on a long range of factors and in order to make sure you get the best Indy within your budget, you will need a thorough pre-purchase inspection. The Beverly Hills Car Club team is available to help you in your search of a Maserati Indy. The friendly staff will assist you with the purchase and ownership experiences in a hassle-free environment. The team is always in touch with buyers and sellers all over the world and will share their contacts and access to all available resources with you. Connect today! 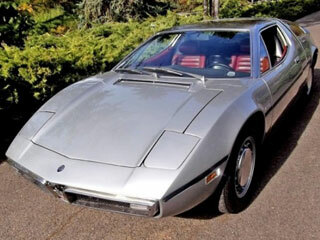 We Also Buy Classic Maserati Indies In Any Condition, Top Dollar Paid.